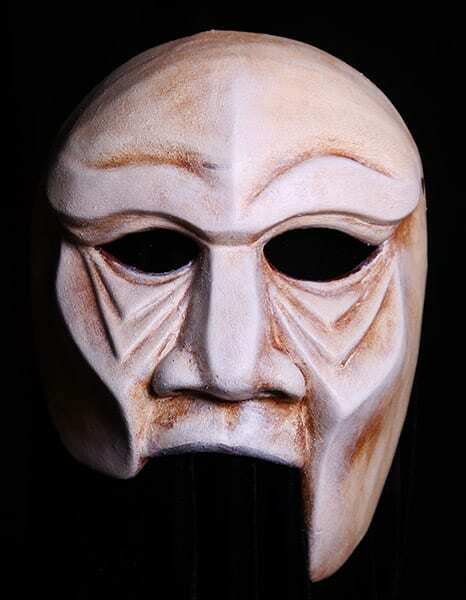 The Teiresias Greek theater mask is for the old blind profit who warns Oedipus of his past. This mask is one of incite or perhaps better said inner sight. Teiresias finds himself led through life by a boy. This half mask for Greek Theatre is usable for many other Greek Tragedies and can be substituted for a Greek noble, old man or king. This half mask is made of neoprene, padded at the back with soft foam, has an adjustable strap and is easily cleaned.